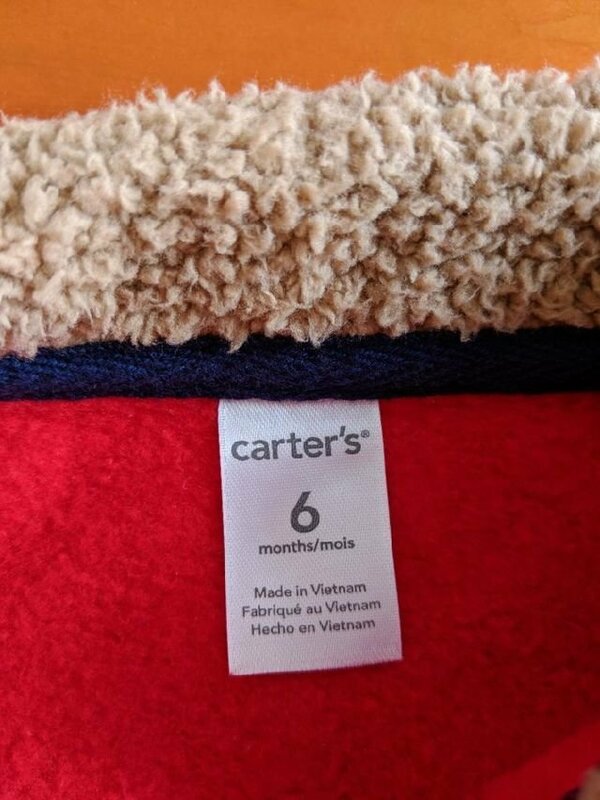 This Carter's mock neck sweatshirt is size 6M and is cozy with sherpa around the collar. 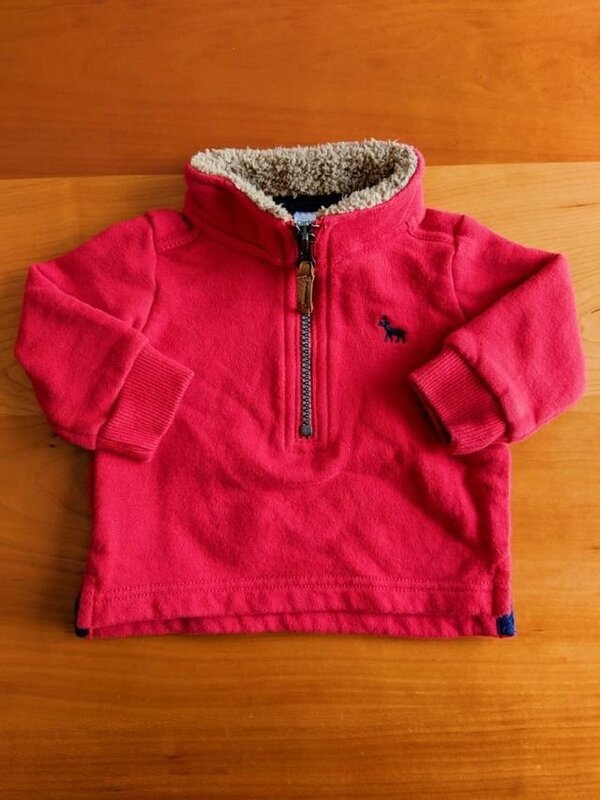 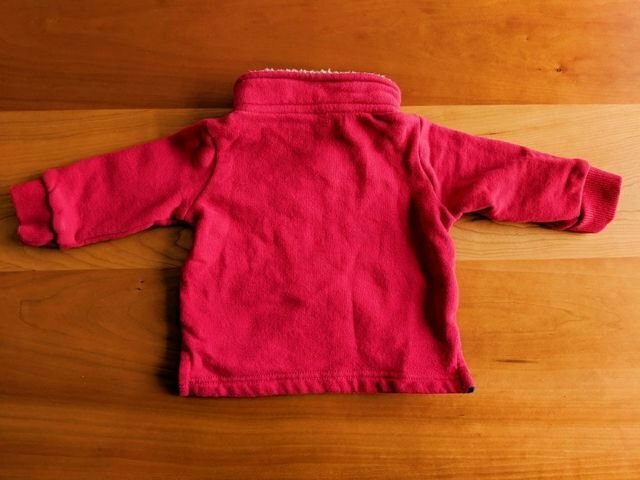 It is perfect for keeping your little one nice and warm! 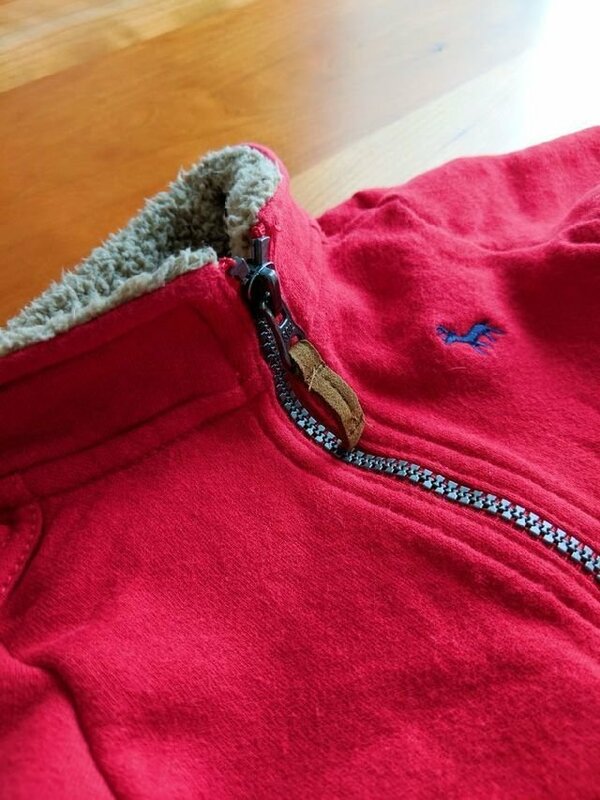 Some wash wear but in very good condition.